Little girls absolutely love unicorns! 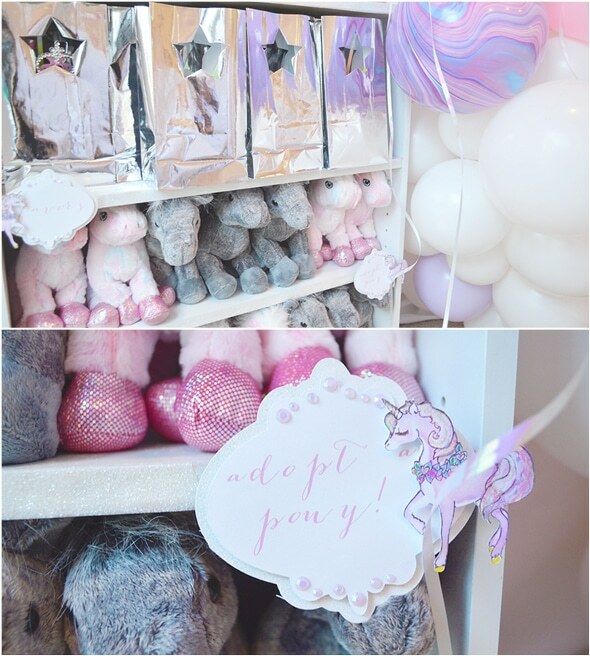 This little 1-year-old had the privilege of starting out her love of unicorns early with her very own Magical Unicorn Birthday Party! 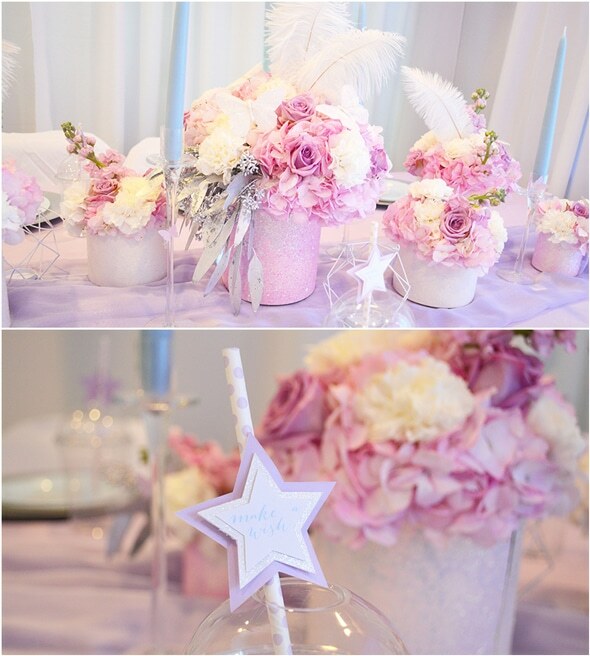 What a girly affair with tons of pastels, flowers and fun! 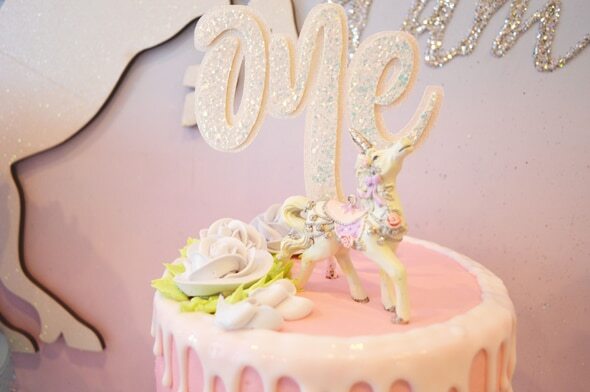 The details were simply gorgeous and we love the soft pastel color palette throughout! 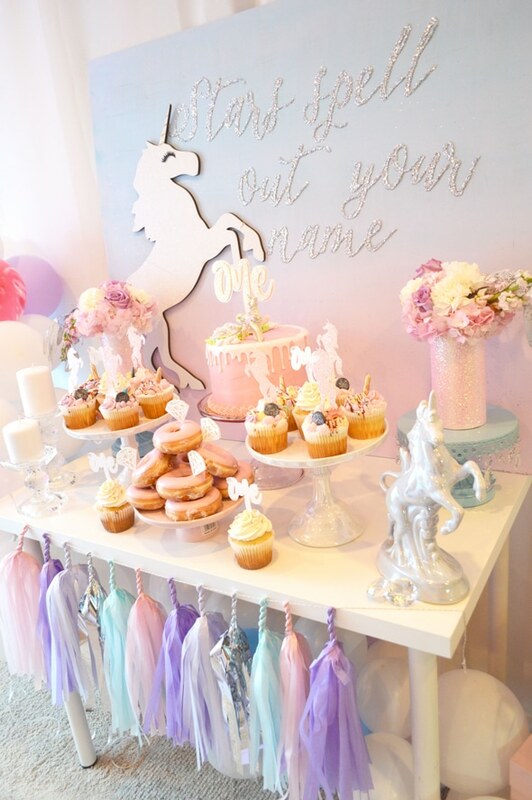 The dessert table was absolutely dreamy with amazing desserts and a pretty ombre backdrop complete with a unicorn and a little sparkle! 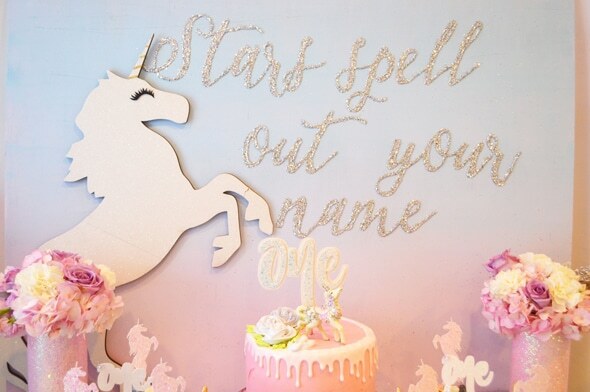 Starry Eyed Events styled this amazing birthday party and did so many DIY projects it will quickly be your favorite! 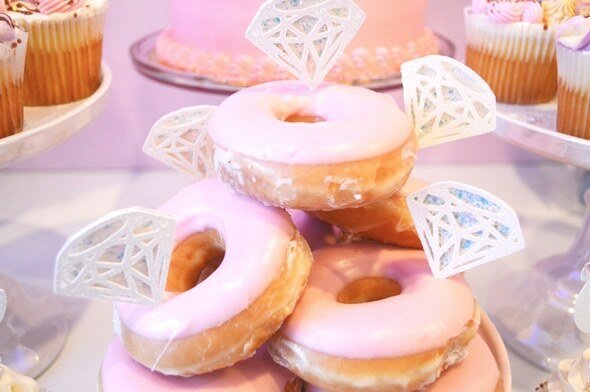 How beautiful is this dessert table? It totally set the vibe for this birthday party! How amazing is this backdrop?! The ombre backdrop color is inspired by a beautiful sunset that Mom had seen a few months earlier. And the sweet quote, “Stars spell out your name”? It is part of a favorite family song. How sweet! 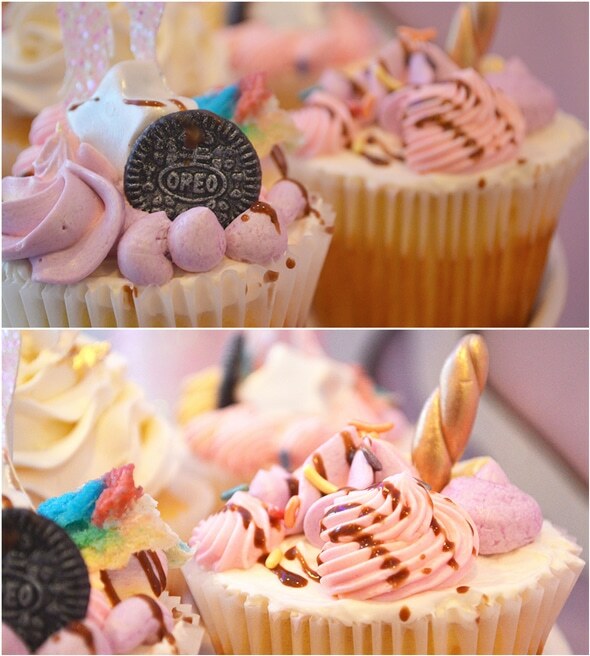 Gi and Jo Cakes supplied the amazing cupcakes that were fit for a little princess! 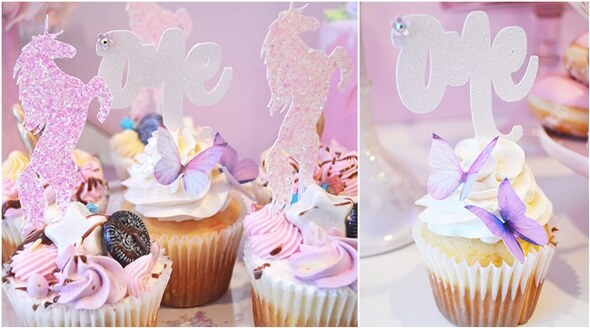 The cupcake toppers were unicorns, along with the sweet butterflies, which were the perfect additions to the party! 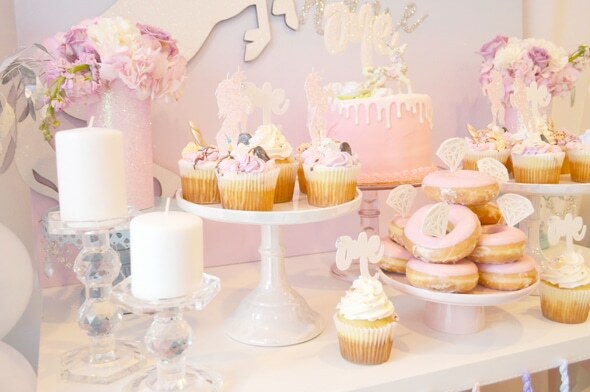 You can’t go wrong with a pink and fun dessert table at a Unicorn Birthday Party! 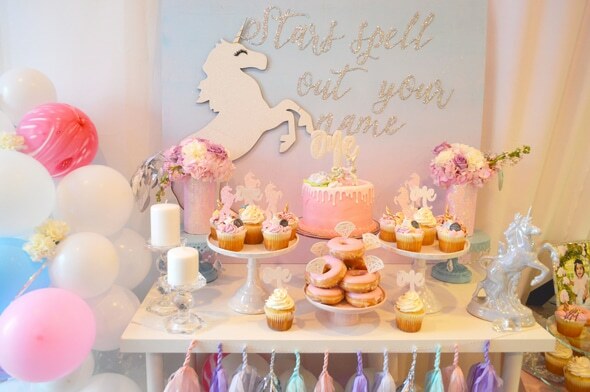 With the backdrop, yummy desserts and floating balloons, it was a little girl’s dream! Glam Fete Blog supplied the tassels. 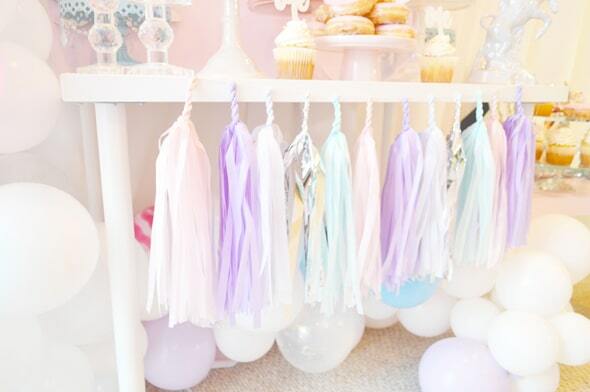 We just love the color scheme and how the tassels complimented it perfectly! How fun is the Adopt-a-Pony Station? All of the little guests were able to take home their very own pony. They all loved to pick out the perfect little pony and be able to have them to enjoy at their own homes! The curtain backdrop was a big hit when it came to decorating for the party. What a great idea! Glitter vases were also a great DIY project and were really easy to make! Simply wrap 12×12 glitter card stock around the vase and glue! Voila! The floating clouds are made from polyfill found at Hobby Lobby. To give a round cloud shape, Chinese lanterns were used, as well. They were finished by being lightly spray painted in pink before being hung up. It was the perfect birthday party set in a dream! 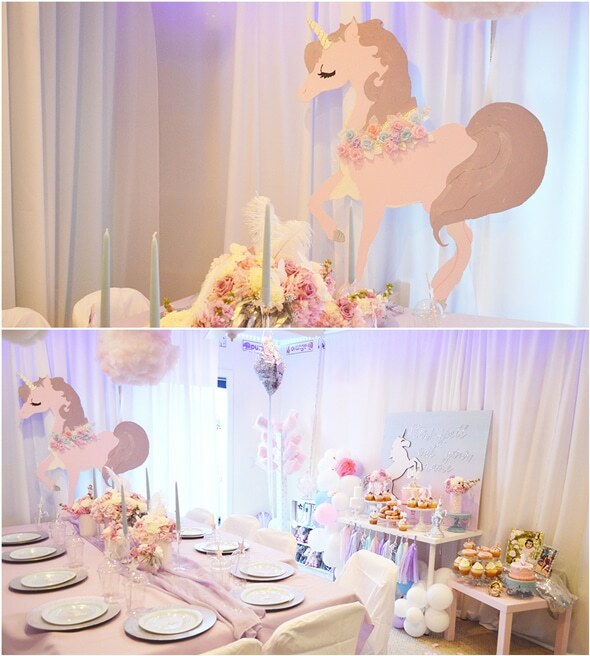 This incredible idea of magical unicorn birthday party is surely one of the best themes to try for the little girls as have been shown here in this blog. 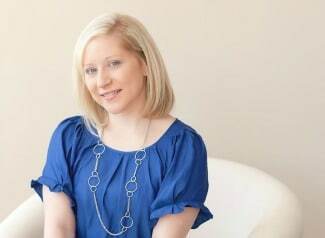 It truly will exude a delightful vision and could successfully create an impression. Thus trying this out for one’s little girl would be a smart choice. A dreamy effect is a sure-shot factor with this particular theme. For more details please visit us at http://www.princessandtiarasspacelebrations.com/.